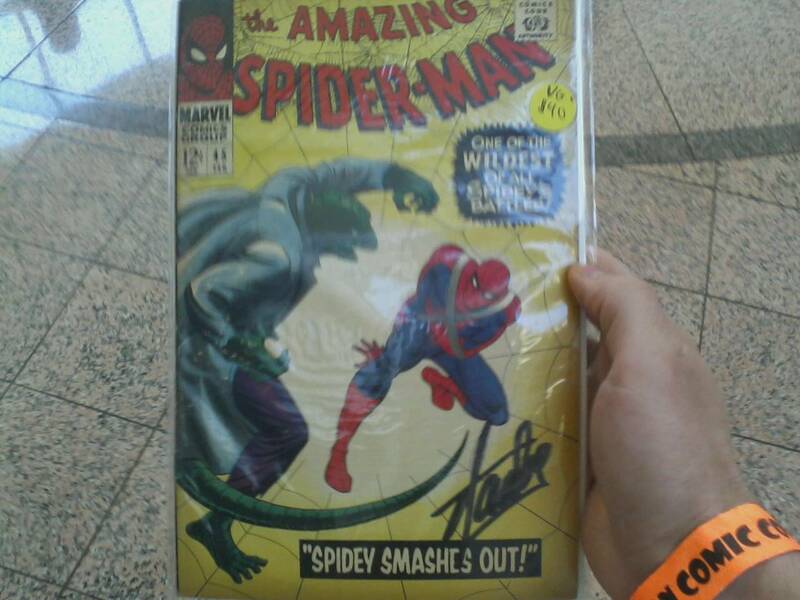 Stan Lee signed my book!!! 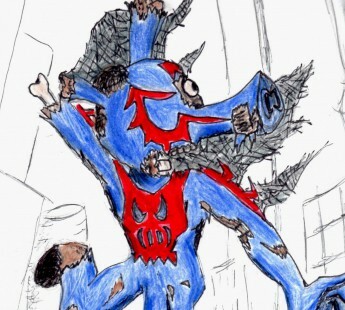 The first comic I ever owned was a ragged reprint of Amazing Spider-Man #45 (I wrote about it here). Eventually, as I became an adult, I “closed the loop” and got an original ASM #45 to look good alongside his more modest brother. When I saw that Stan Lee was going to be at the Boston Comic Con this year, I knew exactly what book I was going to get signed. After a brief wait in line (it really wasn’t bad, and I knew I was around appreciative comic book fans) I got up to the table. While Stan’s eyes were down on the table most of the time (part and parcel with keeping such a line moving at such a brisk pace), for a second he looked up after he signed my book (I also think he gave a slight indication that he doesn’t see this particular issue all the time). He smiled a polite smile as I briefly said that he was an inspiration and thanked him. All that waiting and money for about a second of interaction and I was not disappointed. Thanks, Stan.